Below you can find more information about winter tire laws in your province or territory. 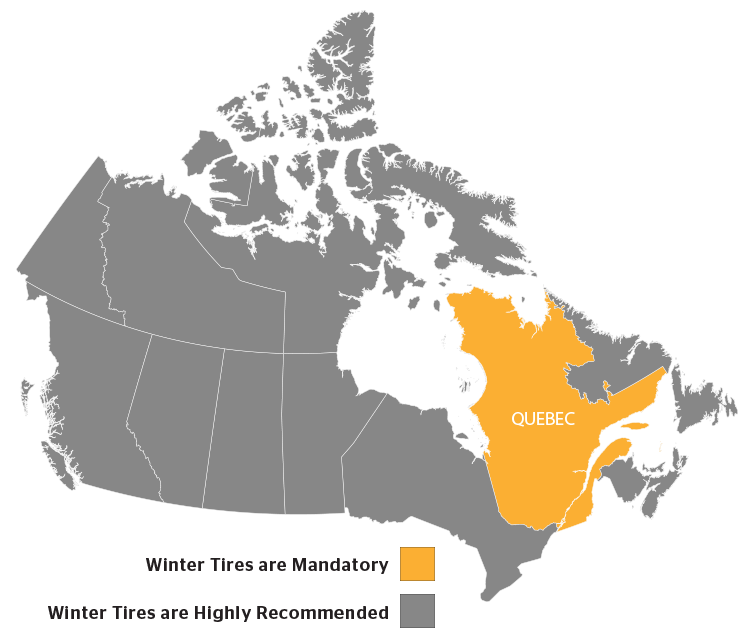 From December 1 to March 15 inclusively, all passenger vehicles registered in Quebec, including taxis, must be equipped with winter tires. This requirement also applies to rental passenger vehicles in Québec, as well as mopeds, motorized scooters and motorcycles. Since December 15, 2014, only tires on which the Alpine Symbol (Three peak mountain and snowflake symbol) and studded tires are considered winter tires under the Highway Safety Code. Alpine symbol (three peak Mountain and Snowflake symbol) needed to considered winter tires. Insurance companies now offer discounts for those who have winter tires on their car during winter months. Alberta, Northwest Territories, Nunavut, Saskatchewan and the Yukon have no timeframe restrictions on studded tires. 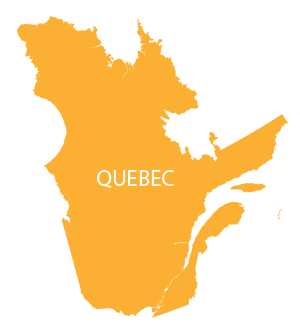 The time frame for New Brunswick is from Oct. 15 to May 1, Newfoundland from Nov. 1 to May 31 and Prince Edward Island from Oct. 1 to May 31; this is their only restriction, however other provinces have additional restrictions. British Columbia: Studded tires can be used only between Oct. 1 and April 30. Manitoba: Studded tires can be used only between Oct. 1 and April 30. Nova Scotia: Studded tires can be used between Oct. 15 and April 30. Ontario: Studded tires are permitted between Oct. 1 and April 30 and only north of the Parry Sound and Nipissing districts. Northern Ontario residents can use studded tires anywhere in Ontario during this time frame. It is illegal for southern Ontario residents to use studded tires in southern Ontario; they can be fined up to CA$1,000.